While we know that sleep in general is a must, we are going to discuss…. Why sleep is important especially when on a diet like hCG. how to actually DO it. Sleep. Most of you may be already thinking, ‘yeah I KNOW I need to sleep – that’s my problem, I can’t!’ So we will talk about grand interventions, as well as ordinary tips that we all tend to forget, all of which can really make a big difference in your ability to fall asleep. One in particular helped me, both on and off the hCG diet, when I was having a particularly hard time falling asleep at night. But first, yes that’s my little guy. On an image about the hCG diet. I know, totally weird. That’s what happens when you arrive at a blog written by a mommy who lost 50 lbs with hCG and lived and maintained the weight loss to tell the story 🙂 He was about three years old at the time. Okay, there’s no use in pretending I don’t really remember specifically. He was exactly 3 years and 4 months, something I know because I keep photos of him carefully organized on my computer by every month and year of his life, and I recall he was passed out on the couch because he was sick with the flu. I miss those days a bit because my son is currently growing up so fast! That was him then, and this is him now. Sigh. And yes of COURSE that’s a diaper on his head. Where else would it go? Maybe from this you can tell I’m one of those got-pregnant-later-in-life-which-means-I’m-a-laid-back-mom people. Yes I am. I also used to let him pull all his clothes out of the drawers when he was 11 months old because he was creating a pile of “rocks” for his toy bull dozer to push. If you’d like to leave my blog now because I’m still talking about my son I totally understand, but we really are getting to the main point, I promise. We often hear the term “slept like a baby”, and while some of us as brand new mothers who had active newborns might be inclined to disagree that this term means sleeping a lot and deeply, since that was my exact opposite experience, the truth is, my son eventually did sleep a lot. They can easily sleep 12 hours a night (the key word was eventually – perhaps the phrase should be more like, “slept like a 10 month old”, or maybe even “slept like a 14 month old” since my son did NOT, I repeat DID NOT sleep through the night until fourteen months). And that amazing ability they have to fall asleep WHILE sitting up, or reading a book, or eating a cracker, or amongst 200 loud people at a wedding, if tired enough. I have underestimated the importance of sleep many times. In fact I still probably do. It’s 10:47 pm as I’m trying to finish this blogpost and I feel like I likely won’t get to bed for another couple of hours. But then I also sleep in later than most probably (9a.m.) so it’s possible it evens out. My son was recently saying he wished humans didn’t have to sleep and that he hates to sleep and I honestly I had to agree with him! I think we have so many things we want to do and accomplish it’s hard to get ourselves to stop and take a break. But I explained to him just why it’s so important and it’s part of the design of our bodies. And it’s even more crucial on hCG actually. I want to talk about why this is – what can happen when you don’t get enough sleep on hCG and how getting enough sleep prevents this. And lastly of course, many of us WANT to sleep, we just can’t. And while you’ll probably never be so good at sleeping that you can achieve this state while at your niece’s 200-guest wedding, there are two specific grand-intervention type things are known to help, and some more ordinary tips that we can forget but that actually can have grand effects. Which yes, after all that, we have finally arrived at the meat of the discussion. According to this small study done in 2010, between 2 groups of people that were tested on the exact same diet, though the TOTAL weight loss over a 2 week period was the same, the ratio of fat loss to muscle loss was QUITE different. This was due to the factor they were testing. One group was sleeping only 5.5 hours a night, while the other group had a full 8 hours a night.This study did not involve the use of hCG of course, but I feel the principle will most likely apply to any weight loss efforts. Check out the short video on this study here. I checked into the details of the study, and the body fat determinations were made using DEXA scans, which I’ve talked about before- they are the current gold standard for measuring exact body fat percent and very accurate. This is so fascinating you guys! Even I had no idea the potential that sleep has on WHAT we’re losing. 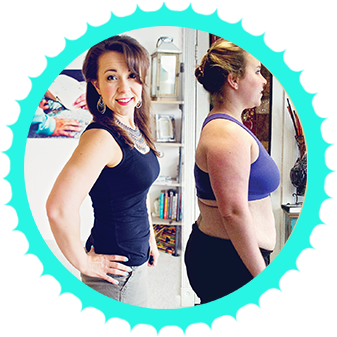 The implications of this are huge – since fat takes up more space on our bodies than muscle, and since retaining more muscle over fat will lead to an overall much better metabolism, we can see why the final results we get on this diet could be drastically different. Say 2 twins who have the same starting weight lost 20 lbs with the hCG diet. The only difference is one slept 5-6 hours a night, while the other slept 8 hours a night during the protocol. The potential based on the discovery in this small pilot study is that the twin who slept 8 hours a night could say, end up a size 6 because 50% more of the weight they lost was fat, and the other twin (who lost the SAME amount off weight btw) that slept only 5 hours a night may be a size 8-10 because less of the weight they lost was fat and more of it was muscle. Additionally the twin who lost more of their weight as fat could potentially eat more calories on a daily basis and maintain due to having a higher metabolism because of having more muscle. This example is purely hypothetical as we don’t know how many exact lbs translate to dress sizes lost, but the truth is, the person who has more of the weight lost as fat WILL be physically smaller inch wise/appearance wise and WILL be able to eat more and maintain. How much exactly of course I don’t know. The same article I referenced above also had this to say about sleeping less: “When sleep was restricted, dieters produced higher levels of ghrelin, a hormone that triggers hunger and reduces energy expenditure.” You can learn more about how the hormone ghrelin affects you here. Additionally another study was done showing that less sleep equated with lower leptin levels (lower leptin = more hunger) and higher gherlin levels (a hormone that causes those growling hunger sensations sounds – more ghrelin – more perceived hunger). Of note in this study as well is the TYPE of additional food they felt compelled to eat in this state: a craving “especially for calorie-dense foods with high carbohydrate content” – of course the exact opposite of what we’re allowed on the hCG protocol, which would obviously present a tremendously mentally draining problem while on the diet. Have you ever woken up in the middle of the night because you couldn’t sleep? I’ve done that and sat in the dark on my couch with my ipad researching from 3-5 a.m. and I felt so hungry I actually felt sick to my stomach. When I’m asleep during those hours however am I feeling hungry? Nope. So being awake more of the time in a 24 hour period, than someone who is getting 8-10 hours of sleep, can affect your hunger which results in a change in how much you will want to eat or end up eating when on the diet. To which you might be saying, YEAH, well, I’d LIKE to sleep….that’s what I’m having trouble with! There are 2 possible reasons for difficulty sleeping on hCG. One is…..
One possible reason for difficulty going to sleep is elevated cortisol. When you have a healthy cortisol pattern going on, it’s raised in the mornings when you are (ideally) most alert and productive, and gradually falls to a low point at night so that your brain and body can kind of power down and let you head off to slumber. However, when on a diet, this overview on studies of dieting show that cortisol is indeed often raised during such times. The reason cortisol can become elevated while on this protocol is that you ARE doing something rather, well, exciting. But seriously, Eating far less, forcing your body to switch over to fat burning mode and relying on your fat stores for fuel, is in itself a “stressor” on your body, which can put your adrenal hormones, including cortisol more on alert during this time. Doesn’t mean it’s bad – the only way to achieve great things in life sometimes IS to do something that involves some type of stress. But it’s also important to keep that within balance. This is also one of the reasons that in general I don’t favor or recommend doing very long rounds of hCG, because perpetually raised adrenal hormones can caused adrenal fatigue and make recovery difficult- versus doing hCG in rounds of 3-6 weeks, for most people, seems to be short enough that your body doesn’t get overly taxed and the breaks between allow your body to sufficiently recover and stay healthy. This can make going to sleep difficult, since typically cortisol is supposed to actually be lowest in the evening but on the diet, cortisol can actually be raised at night. Raised cortisol will make you more alert, making it hard to fall asleep. One way to address this issue is with a supplement called phosphatydlserine. Foss-fuh-what? Don’t let the name scare you off. There can be other reasons for trouble sleeping, but if elevated cortisol is the problem, this really works! Basically what this supplement does is normalize your cortisol levels. It will help your body lower the level when they’re higher than they should be at a certain time of day, and raise them when they should be higher during specific times of day. That’s a simplified explanation, and if you want more you can certainly google it. This was my problem when I was having trouble sleeping for a time, because the very evening I took it the first time, I was able to sleep just fine. This is one of those things that works when you take it, and doesn’t need time to build up in your system for weeks or anything. This is one good quality brand of phosphatydleserine. This article explains just how stressors in life can affect our bodies, specifically our cortisol levels, and how phosphatydlserine can mitigate this. I would like to add here that technically, this supplement is an oil. It comes in a gel cap usually and it’s oil based. Usually of course I’m all for strict simeons when it comes to avoiding oil, down to wearing gloves while handling/cooking fatty meats. HOWEVER. This is one of those scenarios where you have to weigh out the pros and cons of not taking this if you are truly having major difficulty sleeping and it’s caused by this high cortisol at night. In the end, I feel having the tiny tiny amount of oil in that 1 or gel caps is going to far less damage than missing out on hours of sleep every night while on the diet. “The 1 that was recommended was a little out of my price range & I couldn’t wait 4 it 2 b delivered(I only had a few days left in my round) So, I went 2 a local vitamin/herb place & picked one up. It had soy in it but I figured why not give it a shot. It was 100mg & the label said 2 take one 3Xs a day. It worked immediately. I slept well that night & every night since. It was like magic! I lost 4lbs in 3 days that I had left of the round. I’ve been telling EVERYONE about it. My iridologist had told me that my adrenals were tapped out b4 this last round… But I always feel so strong on the HCG & my iridologist said if I feel strong then do it. He did recommend I take some supplements 2 build my adrenals back up & said I really need to stay on them for a while. But I read the articles u had attached to your post & thought “that sounds just like me!!! I’m over here taking HCG, working out (light cardio) an hour or more every night & eating 500 calories a day . Then I’m not sleeping. And not losing weight! Well let me take that back… This round was actually going really great until my in-laws came to town. Let’s face it no one likes to be around people who don’t like you and are looking for your faults let alone having to have them stay @ ur house right? I thought I was mentally & emotionally prepared for them but my body had other ideas lol ….Anyways I totally hit a brick wall & gained back everything I had lost. But those articles totally explained it. I was amazed! I thought that I was the only one in the whole world that could gain 10lbs in a single day (that has never happened while I was on hcg only when I wasn’t on it & I was upset also when I got in accidents) Here I am thinking I’m a freak of nature or I must be going nuts. But I remember the very first round I was on my body was so tense & the only time I’d lose weight is when I’d cheat. My best friend was doing the round w/me & the same would happen to her! It didn’t make any sense at all. But since I had cheated on that 1st round I thought if I just got stricter & didn’t cheat any more I’d do way better so the rest of the rounds I’ve done have been way cleaner but I’ve never lost as much weight as that 1st round. So the out of whack cortisol could be the key. This seemed like a pretty informative discussion on the use of melatonin and how it relates to sleep. Dr. Oz has an interesting article on Melatonin as well and how it may not be the magic bullet for sleep. But then there’s the other side with articles showing melatonin really does help sleep. Honestly, it can be really confusing and hard to know who to believe. In the end, I usually take actual results of real people over theory or explanations, and I do not know that some hCGers do indeed feel that melatonin has helped them get to sleep, at least for a time, at different periods in their life. It sounds like if you DO try taking it, that it’s best to keep the dosage pretty low and that many pill forms have a higher dosage. As such, I was able to find smaller 1 mg dosage tablets of melatonin here. We already discussed that being awake too many hours during the day can cause more hunger than for others on the hCG diet. Aside from this however, if your dosage of hCG is off, this can cause hunger as well, which then snowballs into difficulty sleeping, causing more hunger, making it hard to seep, and so on. You can get extensive guidance on hCG dosing here. If this doesn’t fix your hunger, it may be wise to either save a small portion of your 500 calories as a snack before bed, or to allot just a little more calories in the form of an extra 50 gram protein serving and/or veggie just before bed. Because in the end, you may be following the dietary rules of the hCG protocol exactly, but if you’re not sleeping half the night, you will be facing poor results regardless. Raising calories just a little, if it enables you to sleep, will most likely get you better results in such a scenario. Still, before doing this I’d look at all the other suggestions we are discussing in this article – hCG dosage, timing of caffeine, and that FOSS-FUH stuff (phosphatydlserine) or melatonin. I have a habit that I didn’t even realize I had until awhile back. I realized I must take a hot shower before I go to bed. Doesn’t matter what time it is, 10 pm or 2 am, whenever I’m finally ready to hit the sack, I find myself taking a hot shower first. When I don’t do this, I can’t seem to go to sleep. My feet will feel cold and take like two hours to warm up and I will not fall asleep before that finally happens. Also the shower seems to really relax my whole body so that when I hit the pillow I just feel….good. A perfect state to be in before falling asleep. I am pretty sensitive to caffeine- possibly more than most people because I don’t do well with Coffee at all – even one mild cup of Joe just leaves me feeling jittery. Must be a liver problem. However, I DO find that 2 cups of black tea (this is my favorite – you ca try it in a box of tea bags to see if you like it first, then buy in bulk looseleaf like I do) is the perfect dose of caffeine to bring me from that unmotivated place each morning where I feel like I’d rather not accomplish anything every again, to that feeling of, ahhhh, I think I have an idea! And I think I can carry it out! Having decaf tea beyond my 2 cups of black tea, doesn’t matter what time. Having caffeine, decaf or not, anytime after about noon. The reason I discovered this is because I actually sleep very well, but every time I start having additional decaf black tea again, or drinking decaf later in the day, I have fitful rest and feel like I wasn’t really asleep for much of the night. As soon as I take it back out, I’m sleeping deeply again. This one change made me sleep like a LOG. A real, dead, log, laying in some quiet dark forest with no night creatures about. Seriously, don’t knock this one till you try it for a few nights. And what I’m assuming is that by sleeping so much deeper, the sleep is much more restorative. People are still debating a LOT on whether this stuff (emf’s, electricity charges etc) is truly harmful to your body or not, so I won’t get into that here. One thing I DO know that can’t be debated is that I started sleeping MUCH better once we turned off our power at night. We paid about $300 to have an electrician adjust a few things on our circuit breakers so that the power to our bedroom and surrounding rooms could be off at night, while the kitchen was left on for the fridge and freezer. One other very, should I say, weird thing, happened when we initiated this. I felt really depressed for like 3 weeks. I stuck with it because I knew that there’s no way the electricity could be something I actually needed, so I chalked it up to some form of strange detox, and soon enough, the depression lifted, I was of course sleeping much better, and we haven’t looked back. It’s VERY easy to do. At first when my husband suggested this I thought it sounded like a pain, but it’s totally not. Basically each night, whoever is last to bed, turns off their computer, flips 1 switch on the breaker, then heads to bed. Takes all of 30 seconds. Falling Asleep Easier When You Do Something Active in the A.M. I read that this is the case. If it’s true, I have no idea because I don’t consistently exercise in the morning. Sometimes I do and sometimes I don’t and I haven’t paid attention to whether or not it helps since as I said, I sleep quite well all the time now since turning off our circuit breakers and not drinking caffeine beyond a certain time of day. Getting Sunlight in the A.M.
Another thing I read that I can’t really comment on, but sounds like worth a try. I’ll try to research this further in the near future and add it here when I get a chance. Part of what my son and I discussed when he expressed his wish that God didn’t make nighttime is that when we go to bed and sleep is the time that all the “workers” in our body wake up and starting doing their jobs. That they can’t do much work while during the day because our body is too busy doing all the stuff we need done while we’re awake like thinking, talking, walking, digesting, etc. This is obviously very simplified, but the point is there. We forget what is actively going on while we’re asleep because well…we’re asleep! And we can’t visually see it. should i stop hcg….or do injections every other day? Thank you thank you thank you! I am soooo happy to have found this blog! I was a week into the diet and could not sleep at all and was wondering how I was going to be able to make it through the diet. Fortunately I found your blog and was able to get a same day shipment of the supplement you recommend and slept like a baby that night! I didn’t want to get too excited but after having it a second time last night I know it is working. I never thought a supplement would contribute so much to my wellbeing, especially as fast as this one did. Doctors should definitely recommend this as part of the diet instead of leaving patients to blindly finding their way. Thank you so much! Well, I tried that “stiff” drink last night after my sleeping medications didn’t work, nor did the “stiff” drink. I was up all night, had energy, wanted to move furniture around the house, dust, got on the computer. Finally, at about 3:30 AM, I took another medication, and dozed off and on until I got up at 7 AM. I wasn’t tired, just knew that I needed sleep. i worked out this morning, came home, and still had difficulty taking a nap. I finally took at 2 hour nap about 3 PM. I think my problem is the timing of the daily HCG injections. I am retired, so I wake up at different times in the mornings, which means that I am not taking the HCG at the same time daily. I read that in this article. So, since I took my HCG at 7:30 am this morning, I am going to set my alarm to take it at 7:30 tomorrow morning and every morning. Hopefully that will resolve my sleep problem. Thanks this really helps a lot and if I try HCG again will try several of the things you listed here for sleep. I had a horrible time with sleeping, I tried using different drops and pellets along with changing the dosage but it was awful. I would be awake for 34 hrs or so and finally just had to stop HCG as I could not function in normal life. Thanks for all your posts and vlogs, they are extremely helpful. Hi @Tina Ashton – So glad to hear it was helpful! I agree, fixing the issues with sleep can be a bear and like you said, is really important to being to do this protocol in a doable way. I actually just spoke with a woman today who has had trouble sleeping for years and she says the only thing that helped her, which (amazingly!) she continued to do during P2 because she had to, and it seemed to work out, is that she had a stiff drink every night before bed (I know right!!) She used the clearest/strongest whiskey with stevia and water before bed – she says that’s the only thing that will allow her to sleep. She managed to do this through P2 and removed pretty much all her P2 fruits and such- perhaps that balanced out that way, not sure. Anyway- hopefully most won’t have to do something like this, but just thought I’d mention it as a back up if these other ideas don’t work and you get super desperate. While on HCG back in August I found that I couldn’t sleep, even while taking sleep medications. A friend told me to try a shot of tequila at bedtime and it worked, and it did not affect my weight loss. However, I tried that again last night, and it didn’t work as well. I am also exercising while on P2, something I didn’t do in August. I am going to try it again tonight, if my sleep medication doesn’t work and I’ll post whether it helps.